December is officially half over and we are all up to our necks in Christmas present sewing, planning holiday parties, attending holiday parties, traveling, and the general escalating chaotic mess that marks the passage of time in the last month of the year. Sit down with a cuppa tea, coffee, wine, rum, WHATEVER, and take a few moments for yourself. You’ve earned it! You deserve it! That cookie doesn’t need to be iced this second. That present doesn’t need to be wrapped this minute. 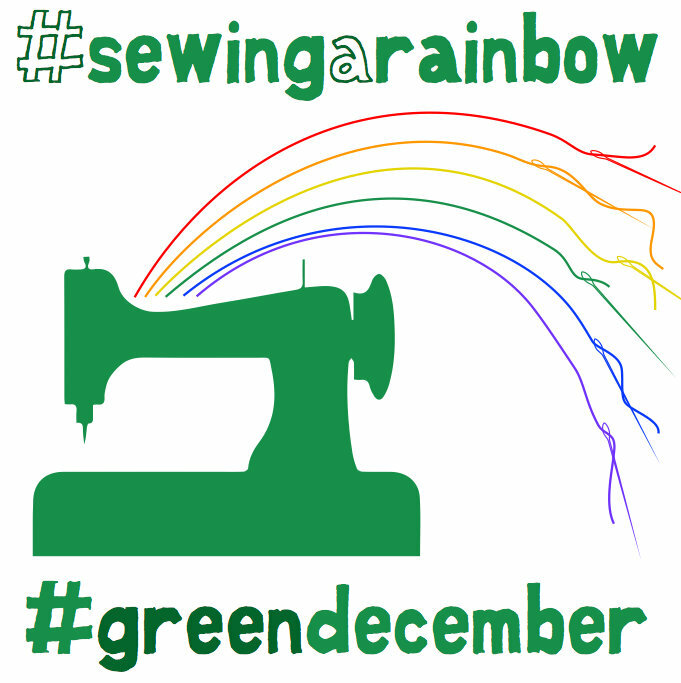 How are you doing with Sew Green December? Oh, you already stitched a fantastic frock to to wear to the office Christmas party? Fantastic!! Please share in the Flickr pool and on your blog (if you have one) so we can oooh and aaaah! Haven’t started yet? Why not now? Your head is cleared, you’ve got a cuppa tea. Whatcha want to make? Go check out your stash. Is there a lovely piece of fabric in there (all green, teeny bit of green, doesn’t matter) begging to be made into a new garment just for you? Carpe Diem! Grab that fabric and start creating! If not, we’ll be waiting when the storm clears and the new year begins. Haha, no selfless sewing here for the holidays! Maybe next week, or next year… My Green December dress is already finished! thank you 🙂 I just sat down with a cup of tea to post my green thing (it’s a unwearable muslin – the excitement!!) and discovered I have the wrong cable for my camera. I don’t know where the right one is. This post is the perfect reminder to not be stressed about it! I’m all done, photos uploaded & wine in hand! Let me know if you cannot access the flickr photos, I think I have altered the privacy settings now, but unless someone tries to access them, I wouldn’t know if I’ve done it right!